COLLEGE FAFSA FINDER: YOUR FIRST STOP TO STREAMLINE COLLEGE SEARCH AND STUDENT FINANCIAL AID REFERENCE. With the above information, you can search for colleges that meet your criteria, look up school-specific information on the web and use their FAFSA or CSS codes to apply for your desired colleges and student financial aid eligibility. You don’t need to spend more time looking up school codes. We have done that for you here! 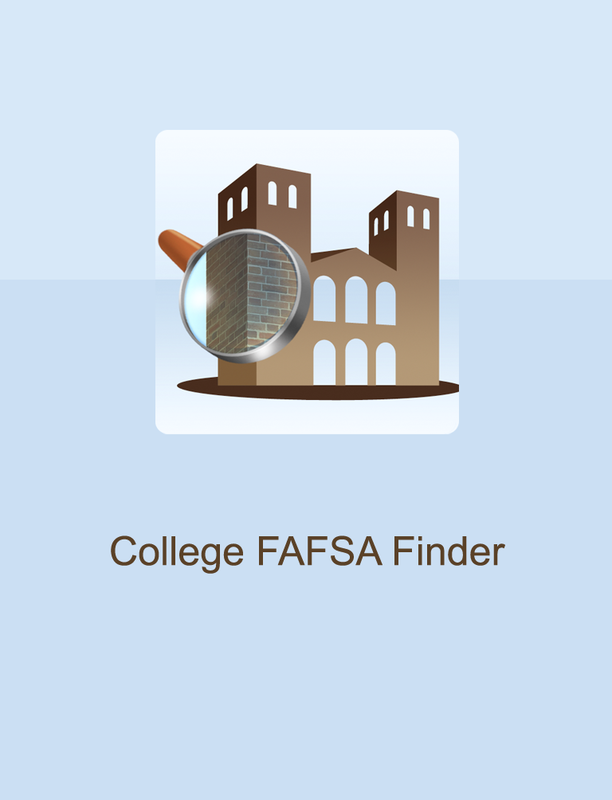 College FAFSA Finder delivers information at your finger tip for the college you want. There are nearly 3,000 colleges and universities to choose from. , we provide three (3) easy ways to search colleges: by name, by FAFSA code or by CSS code. Furthermore, you can refine your search by min/max SAT scores, ACT scores, GPA, cost of attendance, and/or the state where the college is located. What if you don’t have the complete school names? Don’t worry, once you start typing, schools that contain those words will be available in a drop-down list for you to view. This feature is called “auto complete”. On each school page, you will find essential facts such as average SAT scores, ACT scores, GPA of the freshman class, tuition and fees, room and board costs, contact information of each college and its admission office, and a link to the school’s website. While you input your search criteria, you can always switch back and forth between school page and search page. On search page, you can mark your favorite colleges and compile a list of your favorite schools for future reference. 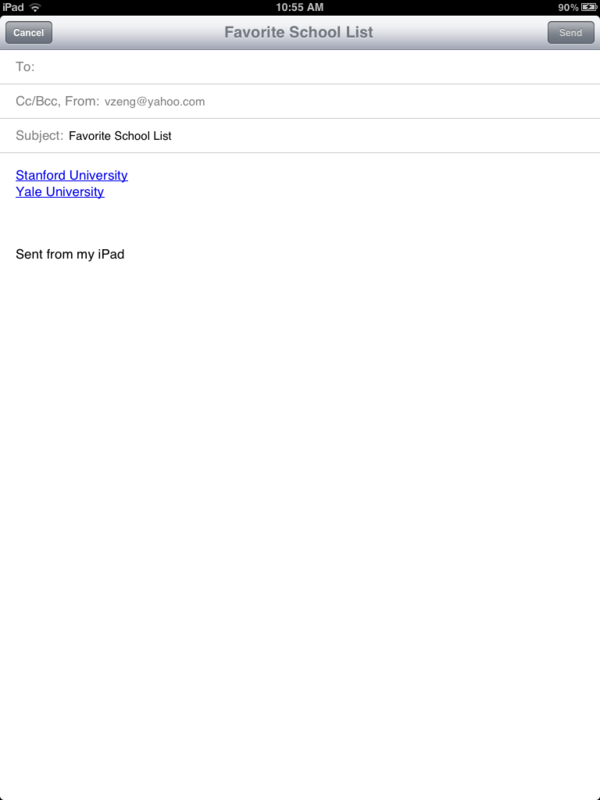 Moreover, you can conveniently send your favorite schools list to yourself or your contacts as an email. Good luck with your college search! With the help of College FAFSA Finder, you not only can find a college that is best for your future, but also the friendliest one for your wallet! We welcome your feedback. Please write us your at Support@Zynsoft.com. 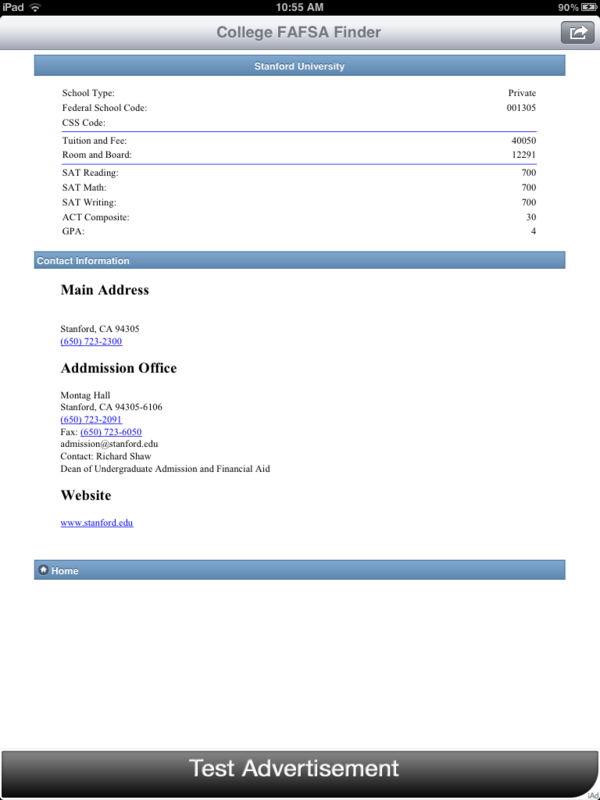 The CSS PROFILE, short for the College Scholarship Service Profile, is an application primarily designed to give private member institutions of the College Board a closer look into the finances of a student and family. It allows college students to apply for financial aid and is much more detailed than FAFSA. Along with FAFSA, the CSS Profile is the most commonly used financial aid application for US students when applying for private colleges.